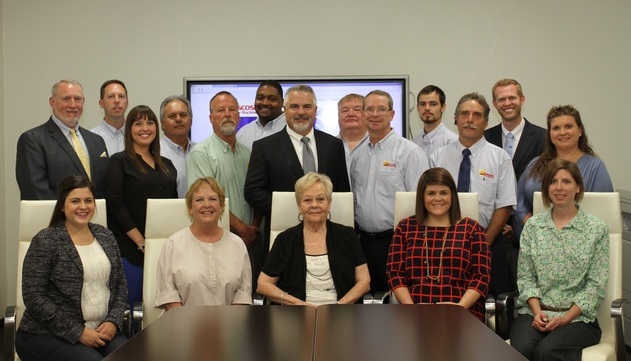 The Lubbock staff consists of twenty-two dedicated employees. Our technicians are manufacturer-certified, able to support your all copier maintenance needs. Tascosa’s administrative staff assures that your calls are answered by a real person and not by an automated system. Tascosa Office Machines handles all aspects of service & dispatch, as well as being the only documentation team you will need from start to finish, no matter how large the contract. We have the ability to generate and bill maintenance & lease contracts without having to involve a third party finance company. Tascosa Office Machines has been in business for forty years, headquartered in Amarillo, we support local businesses, hospitals and schools. Tascosa-Lubbock is a member of the Lubbock Chamber of Commerce and is enthusiastically invested in Lubbock’s economy. We support local charities and organizations by donating money, copiers, printers and fax machines to churches and non-profit organizations every year. Tascosa Office Machines looks forward to providing our customers the highest level of customer service. We do this by offering the best support, equipment, office supplies, furniture, account billing &management expertise, all with West Texas courtesy. As a member of the Lubbock Chamber of Commerce, we are enthusiastically invested in Lubbock’s economy. Our dollars are not diverted to St. Petersburg, Florida or Rochester, New York. Our dollars stay in West Texas.